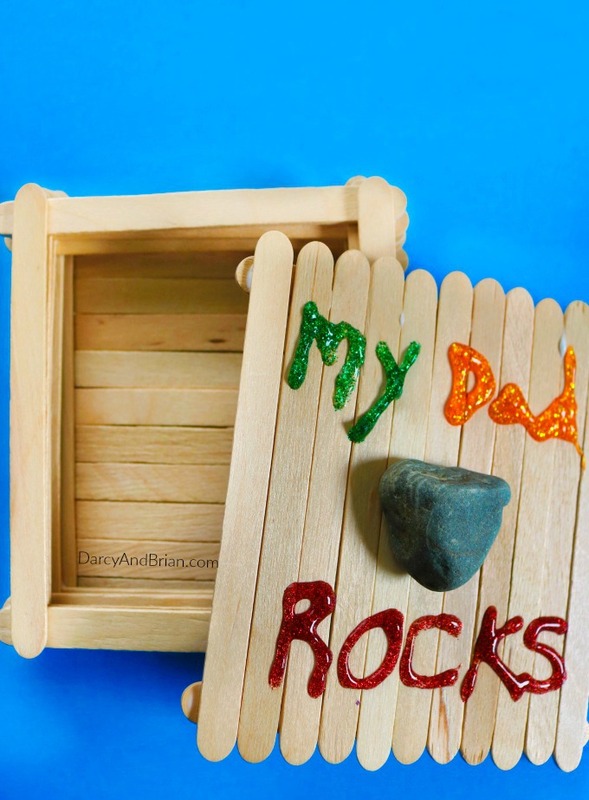 This My Dad Rocks Keepsake Box Father's Day craft is fun and easy for kids to make. Not only does this box make a nice present on its own, it could be a gift box containing something else for Daddy! This kids craft is more than a memorable handmade gift, it provides an opportunity for learning and practicing skills, too. 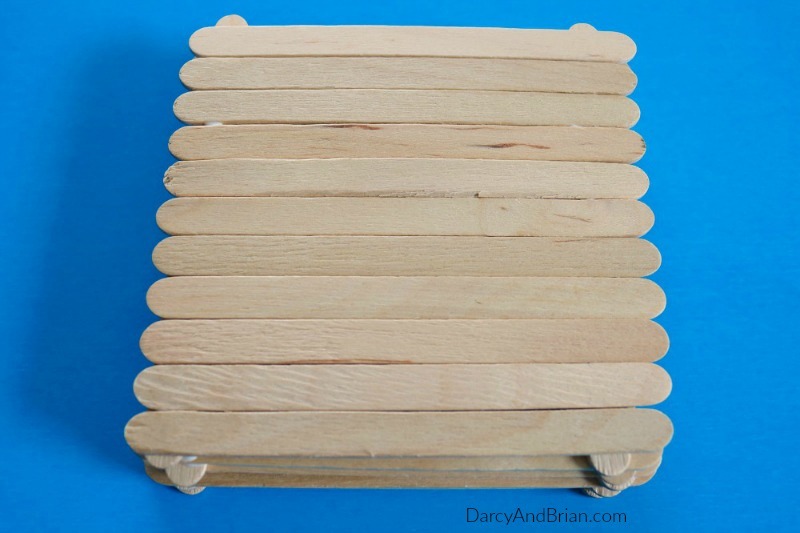 The process of making the box out of popsicle sticks is a sneaky way to work on patterning as well as fine motor skills. Squeezing the glue and lining the sticks up is perfect for preschool and kindergarten aged children. Toddlers may also enjoy helping, but may need more assistance. 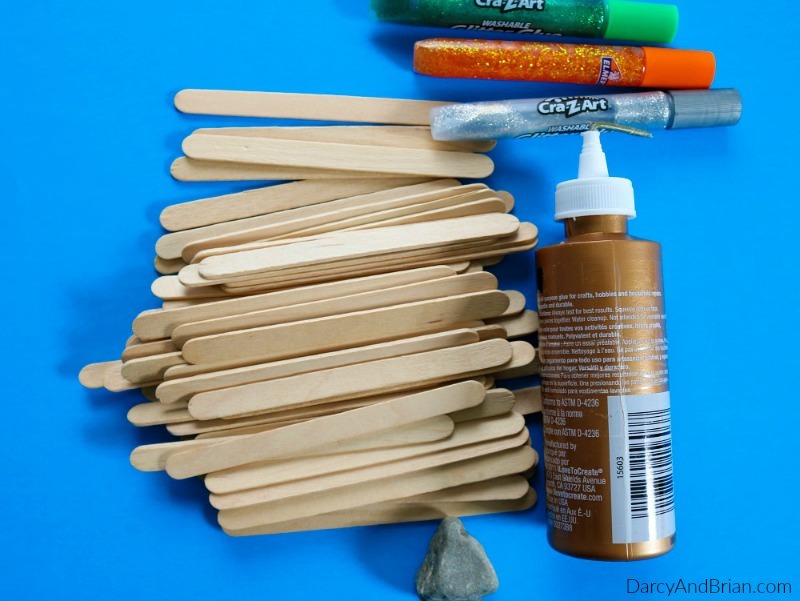 Start by gluing four craft sticks together in a square (may need to remind little ones how much glue to use on the ends of the sticks). On the last layer, place craft sticks side by side all the way across. This will actually be the bottom once the glue is dry and you flip the box over. Now, to make the cover, start the same way as you did for the box. 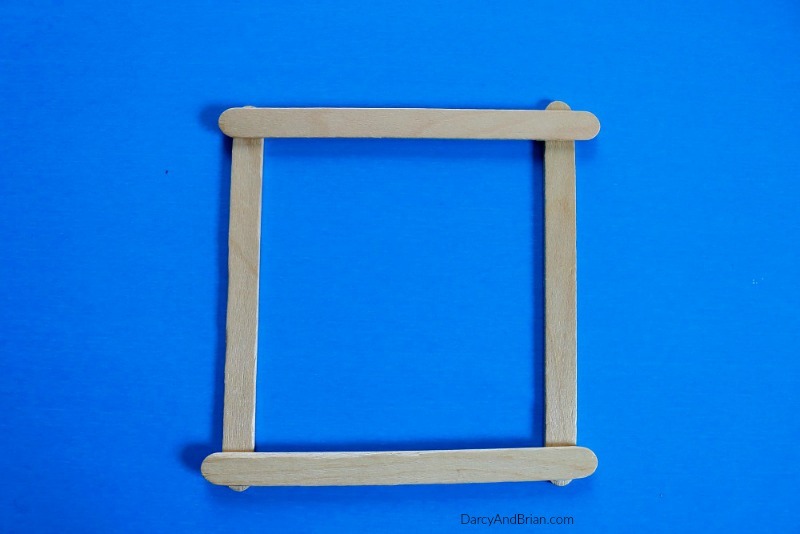 Glue four sticks in a square. Then lay the sticks across the whole top and let it dry. Next, glue a rock in the middle of the cover. This will act as the handle! Decorate the cover as you wish and use glitter glue to write “My Dad Rocks” on the top. You can give it to Daddy already filled with keepsakes (like movie ticket stubs), place a different gift inside (such as a tie or gift card), or give it to him as is so it can be filled up with memories. 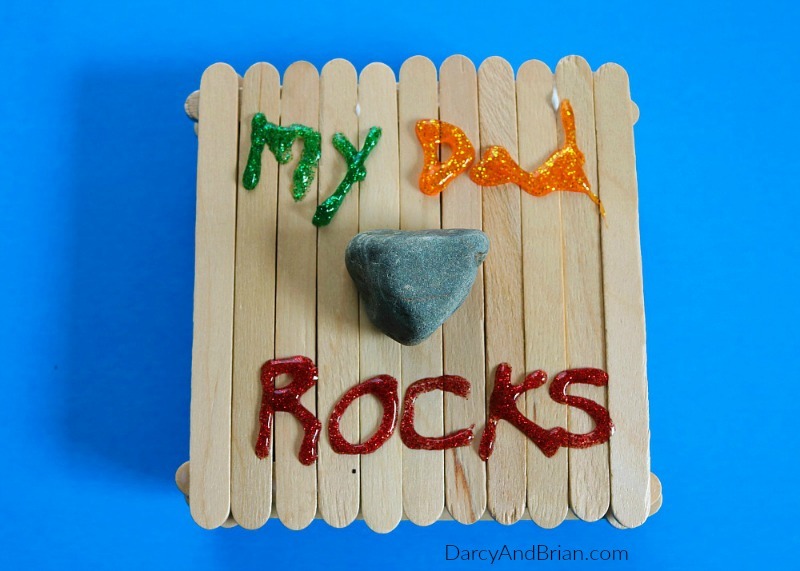 This is a fun Father's Day craft for kids to make something to go on Daddy's desk at work or on top of the dresser at home. 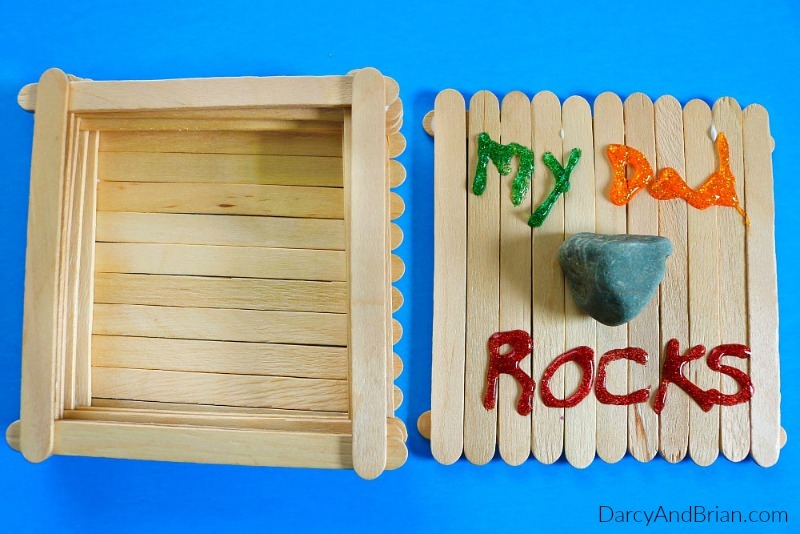 Do you know the most challenging part about the kids making this Dad Rocks Keepsake Box craft project? Having them keep it a secret. Little kids are so cute when they are bursting with excitement to spill the beans. 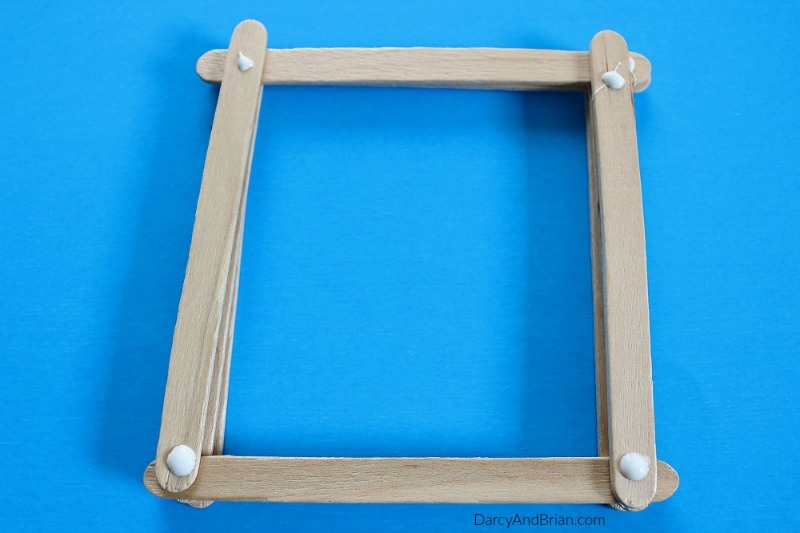 We hope you enjoy creating this popsicle stick craft with your children! We're linking up to these great recipe, craft and DIY linky parties! Love this idea. My 3 year old and i are painting the sticks his dads favorite colors first. I also printes off a picture of the 2 of them to glue on the underside of the lid. I didnt have elmers or craft glue so we are using hot glue. A great fathers day gift but we are giving it to him for christmas because we did not have the money to get him anything. I think this will mean more to him than anything that can be bought plus we already had everything needed at home. Thank you for the wonderful idea and instructions. Happy holidays! I love that you added a picture to yours! What a lovely and meaningful gift. Thank you so much for sharing, Sheree and I hope you have a wonderful holiday!